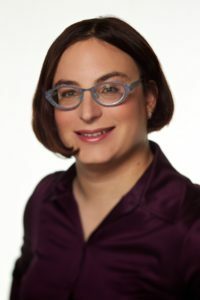 Ina Fried is one of the nation’s top tech journalists, currently writing for Recode, while frequently covering and commenting on technology news on CNBC, National Public Radio, and a host of broadcast, online and print media. Her current beat focuses on, as she puts it, “wireless issues and devices, including tablets, smartphones and even some phones of average intelligence.” Before her current role, she spent a decade at CNET. Her reporting has spanned several continents, two genders and covering some of the top stories in her field including the Hewlett-Packard-Compaq merger, Bill Gates’ transition from software pioneer to philanthropist and interviewing Steve Jobs while covering the iPhone location tracking controversy. She has served on the NLGJA board of directors including her leadership role as Vice President of Print. As a recipient of numerous journalism awards, in 2014 Fried also was named to the Advocate’s list of the nation’s top 50 Most Influential LGBT People in Media.